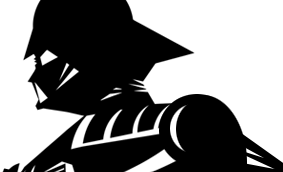 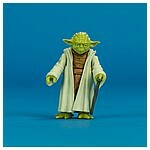 While some collectors were able to find the Yoda action figure featured on this page on September 1, 2017 as part of Lucasfilm's international Force Friday II event, it wasn't everywhere. 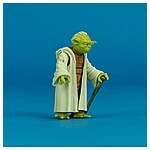 It, along with the Obi-Wan Kenobi figure, were slipped into the first pack revision of The Last Jedi Star Wars Universe Teal collection. 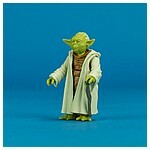 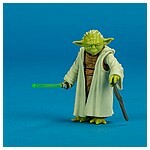 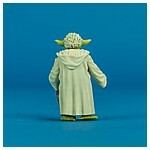 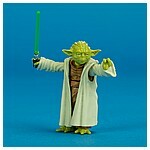 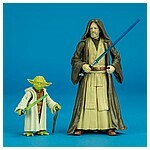 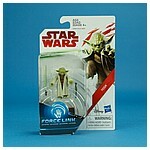 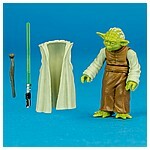 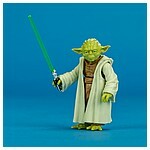 This Yoda is the most film accurate 3.75-inch figure based on the diminutive Jedi Master to be released. 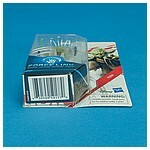 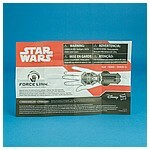 There is a packaging variation for this figure. 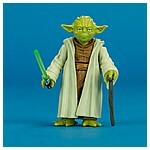 Earlier blisters had Yoda's right arm posed upwards. 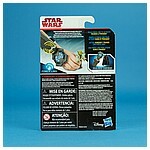 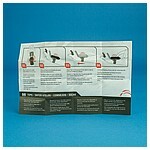 The carded figure pictured here is the second pose.